Its been a great winter/spring sport-fishing expo season. 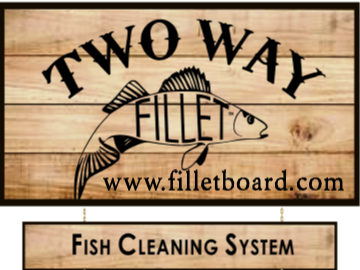 We continued to refine our message and discuss TWO WAY Fillet with guests throughout the Midwest area. In addition we were invited to several Scheels Fish Fest where we demonstrated using TWO WAY Fillet, and were able to get several anglers hands on their own TWO WAY Fillet for additional feedback.